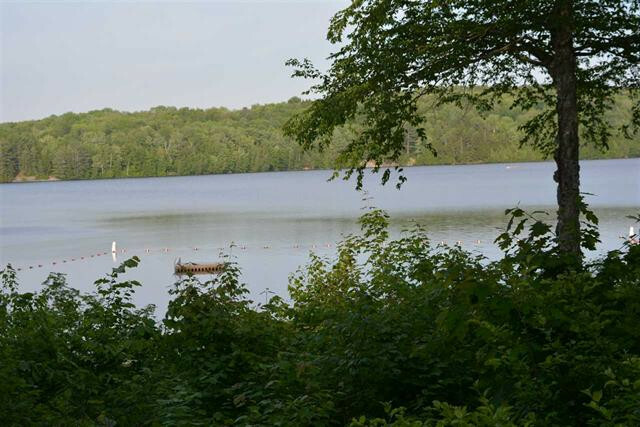 2-Bedroom, 2-Bath Condo on Eastman Lake! Lakefront! Waterfront! A short stroll to the beach! Enjoy the morning sunrise and take a walk along the trail, or take your kayak out across the lake to a second beach or to the jumping rock. Cross country ski near the lake or take advantage of South Cove Activity Center during the winter months. Enjoy Eastman Lake during the summer and play tennis and golf during the warmer months. 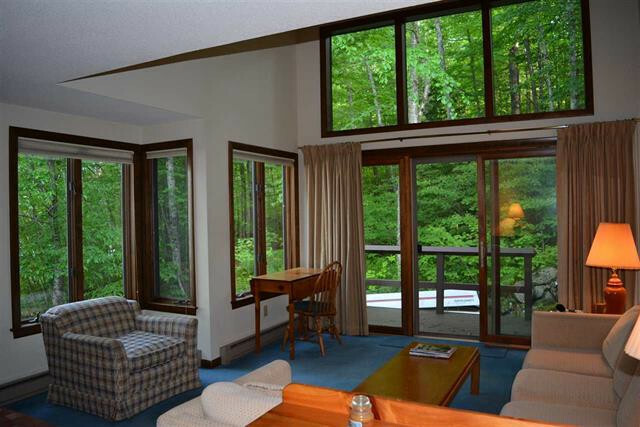 This is a Wheelock style condo and is also a rare end unit that abuts a natural setting with lake views. Featuring an updated kitchen, bedroom suites on both levels, private deck, and plenty of natural light. 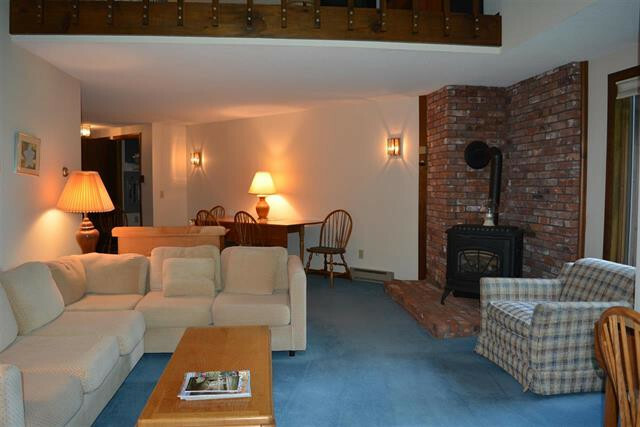 Living area with cathedral ceilings, large windows, and hearth with wood stove. All appliances to stay. Eastman is in the heart of the Dartmouth/Lake Sunapee Region. This family friendly, multi-generational community has so much to offer. Call Carol Shepherd at 603-568-0880 or email carol@sheprealty.com for more details or to schedule a showing of this waterfront condo in Eastman!